I love making video’s but I never did it anymore because of excuses. Also, I love to share stuff with you, but I never blog because of excuses. So, today: no more excuses! I’ll start vlogging! At least for the coming weeks as an experiment to see how much I like it. In each vlog I want to share something of my life I find awesome and think you might as well. So in this first edition, I’ll show you my recipe for Bulletproof Tea, or Butter Tea as some call it. 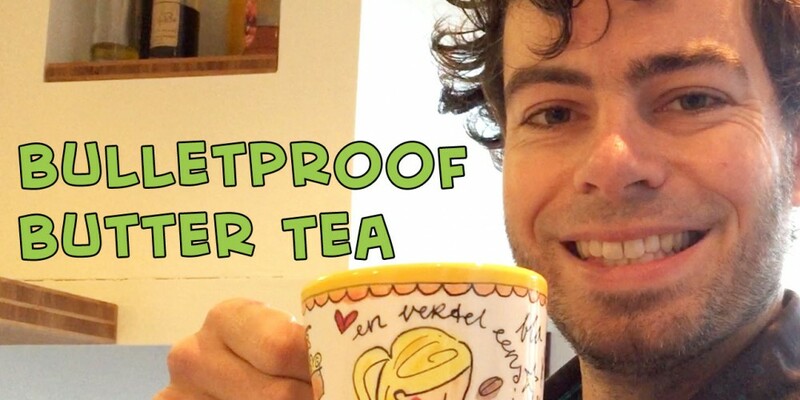 I drink Bulletproof Tea every morning as a breakfast, it fills me up and gives me plenty of energy to tackle the day. It is tweaked to sharpen my mind because your brain runs on fat and it also makes the caffeine in the tea do it’s work better. Awesome! I’ll try to write a more detailed post on why I want to vlog later, but for now: check it out and let me know what you think of it.